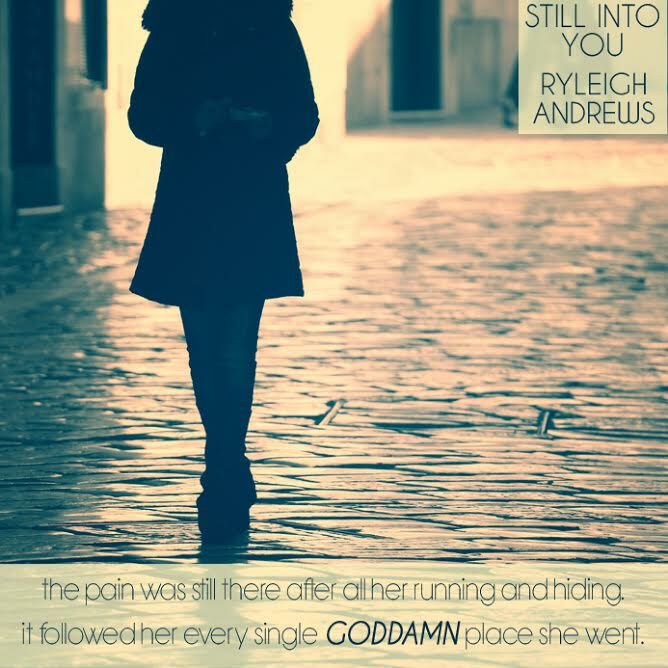 Ryleigh Andrews blew me away with Bring Me You Book one in the Never Over You Series. I was hooked from the first page. THEN she brought us Still Into You Book two and she now knocked me flat on my @ss! At the end of Bring Me You, both Mia and Ethan were hurt, lost and confused in their own ways. After the fight in Sydney, when he didn’t visit her in New York, all of it triggered feelings from her traumatic childhood. Both had made several mistakes and essentially leaving them strained by the end of Bring Me You. In this book we experience, hurt, turmoil, tragedy and loss. There was so much grief and a rollercoaster of feelings in this one. In Still Into You, which picks off essentially right where Bring Me You ended, Mia is trying to fix herself. She feels like until she fixes herself she can’t fully give herself to Ethan. But my oh my fixing herself is an uphill battle because its more than just Mia’s past she has to overcome. Falling into old habits, Mia turns back to the only thing that can calm her (besides Ethan) Booze and Drugs. After one bad night with her friend and band mate Todd, things took a drastic turn for the worst. Mia’s life spirals out of control and only she can bring it back. Will another setback drag her even further down? Things have always been rocky when it comes to Mia and Ethan. They both clearly love each other and want to be together. But as time goes by, will it to be too late to make things right? Will Ethan move on in his life? Will Mia ever overcome her fears of the past and find herself once again? This entry was posted in Blog Tours/Promos, Giveaways, Reviews and tagged Blog Tour, Bring Me You, Ethan, giveaway, luke, Mia, New Release, Review, Ryleigh Andrews, Still Into You by Book Lovers Obsession. Bookmark the permalink.